The CSR homepage (this page) is a tool for non-financial information disclosure (sustainability reporting), and is based on the Core option of the version4.0 of the Sustainability Reporting Guidelines (G4). Material aspects (material aspects for AGC Group: material issues) disclosed in Specific Standard Disclosure items are selected based on CSR monitoring mechanisms that utilize ISO26000. The management methods for each disclosed issue are given on the corresponding material issues page. Only General Standard Disclosures required for Core option have been included. Provide a statement from the most senior decision-maker of the organization (such as CEO, chair, or equivalent senior position) about the relevance of sustainability to the organization and the organization’s strategy for addressing sustainability. Report the name of the organization. Report the primary brands, products, and services. Report the location of the organization’s headquarters. Report the number of countries where the organization operates, and names of countries where either the organization has significant operations or that are specifically relevant to the sustainability topics covered in the report. Report the nature of ownership and legal form. Report the markets served (including geographic breakdown, sectors served, and types of customers and beneficiaries). Report the total number of employees by employment contract and gender. Report the total number of permanent employees by employment type and gender. Report the total workforce by employees and supervised workers and by gender. Report the total workforce by region and gender. Report whether a substantial portion of the organization’s work is performed by workers who are legally recognized as self-employed, or by individuals other than employees or supervised workers, including employees and supervised employees of contractors. Report any significant variations in employment numbers (such as seasonal variations in employment in the tourism or agricultural industries). Report the percentage of total employees covered by collective bargaining agreements. Describe the organization’s supply chain. Report whether and how the precautionary approach or principle is addressed by the organization. List externally developed economic, environmental and social charters, principles, or other initiatives to which the organization subscribes or which it endorses. List all entities included in the organization’s consolidated financial statements or equivalent documents. Report whether any entity included in the organization’s consolidated financial statements or equivalent documents is not covered by the report. Explain the process for defining the report content and the Aspect Boundaries. Explain how the organization has implemented the Reporting Principles for Defining Report Content. List all the material Aspects identified in the process for defining report content. Report the effect of any restatements of information provided in previous reports, and the reasons for such restatements. Report significant changes from previous reporting periods in the Scope and Aspect Boundaries. Provide a list of stakeholder groups engaged by the organization. Report the basis for identification and selection of stakeholders with whom to engage. Report the organization’s approach to stakeholder engagement, including frequency of engagement by type and by stakeholder group, and an indication of whether any of the engagement was undertaken specifically as part of the report preparation process. Report key topics and concerns that have been raised through stakeholder engagement, and how the organization has responded to those key topics and concerns, including through its reporting. Report the stakeholder groups that raised each of the key topics and concerns. Reporting period (such as fiscal or calendar year) for information provided. Date of most recent previous report (if any). Reporting cycle (such as annual, biennial). Provide the contact point for questions regarding the report or its contents. Report the ‘in accordance’ option the organization has chosen. Report the GRI Content Index for the chosen option (see tables below). Report the reference to the External Assurance Report, if the report has been externally assured. GRI recommends the use of external assurance but it is not a requirement to be ‘in accordance’ with the Guidelines. Report the organization’s policy and current practice with regard to seeking external assurance for the report. If not included in the assurance report accompanying the sustainability report, report the scope and basis of any external assurance provided. Report the relationship between the organization and the assurance providers. Report whether the highest governance body or senior executives are involved in seeking assurance for the organization’s sustainability report. Report the governance structure of the organization, including committees of the highest governance body. Identify any committees responsible for decision-making on economic, environmental and social impacts. 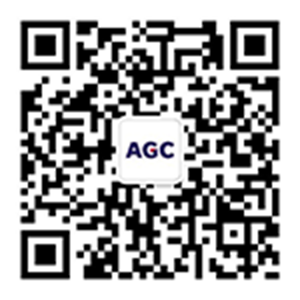 Only items that were selected as material issues for AGC Group have been included.